Laser cut boxes are an economical solution to a functioning box. 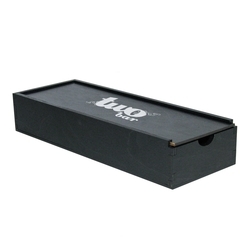 These precision cut boxes can be custom made to any size and feature the slide out lid. Put your logo onto this high use box and reap the rewards. The prices listed here are for the laser cut box with natural finish only; to add a color finish, lacquer, or both, please refer to our options menu for the applicable upcharges. Use this same process to replace the wood lid shown with an engravable (or printed) clear sliding acrylic lid. The product photo may or may not be shown with available upgrades. Uses can include holding your chocolate and candy, golf balls, executive gifts, writing and computer accessories and anything else that you need to fit inside! 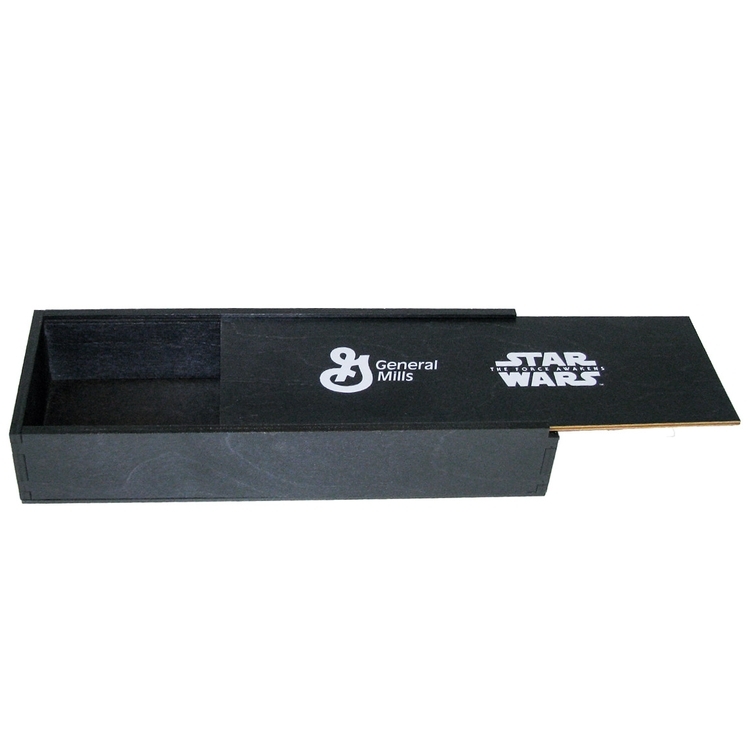 Shown in this photo is the laser cut box, in black stain finish (upgrade), with 4C print. Price includes a one position laser engraving or 4-c process print up to 3 sq in. Interior Dimensions: 10.5" x 3.5" x 1.625"